Jean-Dominique Giuliani is Chair of the Robert Schuman Foundation, a reference research centre on the European Union and its policies. 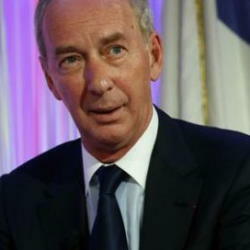 Special Advisor to the European Commission (2008-2010), he was previously Maître de Requêtes, for the Council of State, Director of the Cabinet of President of the French Senate, Mr René Monory (1992-1998) and Director within the General Management of Taylor Nelson Sofres (1998-2001). In 2001, he founded his own international consulting business: J-DG.Com International Consultants of which he is the Chair. Member of the Supervisory Board of Arte France (since 2009) and President of ILERI (School of International Relations) (since 2019). Chevalier de la Légion d'Honneur Officier du Mérite national (France) Commander of Order of Merit of Germany, of the Order of Gediminas of Lithuania, of the National Service of Romania, of Hungary and other foreign decorations.